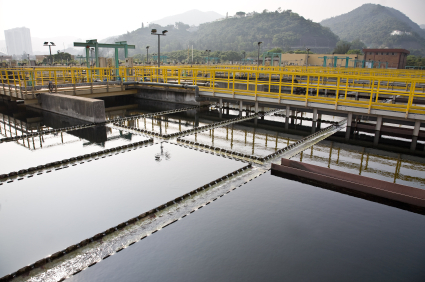 Municipal water supply and wastewater treatment (W&WW) systems are among the most energy-intensive facilities owned and are operated by local governments, accounting for about 35% of energy used by municipalities. Water and wastewater treatment and distribution in the United States is estimated to consume 50,000 GWh, representing 1.4 percent of the total national electricity consumption, and cost over $4 billion annually. However, according to EPA’s ENERGY STAR® program, 10 percent savings can readily be achieved in this area. Water is a very electricity-intensive resource. Electricity is required to source, treat, and transport potable water and to collect, transport, treat and discharge wastewater. Water and wastewater can account for more than half of many municipalities’ electricity bills (Elliott 2005). As a result, water efficiency—using less water to meet consumers needs—can represent an important electric efficiency opportunity. Water is a critical resource required for most electric power generation, both as feedwater for boilers and as cooling water for condensers for steam systems, whether fueled by coal, natural gas, or nuclear fuel. Thus, water requirements for electricity generation compete with other uses for and users of the resource. From an energy efficiency perspective, water represents an important opportunity for energy savings. These savings can come from using less water—water efficiency—and from using less energy in water and wastewater systems. Achieving these savings will require increasing the awareness of this water-energy nexus and building bridges between the energy efficiency and water communities to spark innovations, research and development, leading to increased energy efficiency and decreased treatment costs and infrastructure and capacity building expenditures. An acknowledgement of this linkage is becoming evident in water-constrained states such as California, but interest is also growing more broadly from New York to the Southeast and to the intermountain regions. ACEEE supports this water-energy opportunity by conducting research to quantify the opportunities, studying and evaluating programs that promote water efficiency and energy efficiency in water and wastewater treatment, and policies that encourage greater efficiency in water.